I had the best vacation this summer. I hit the beach, drank Mai Tais and went sightseeing at some amazing places. Of course, I’m talking about the one and only Hawaii! Apart from being excited to finally work on my tan and ignore my email for a while (which is a vacation within itself! ), I was stoked to try new flavors and dishes in the Aloha state. 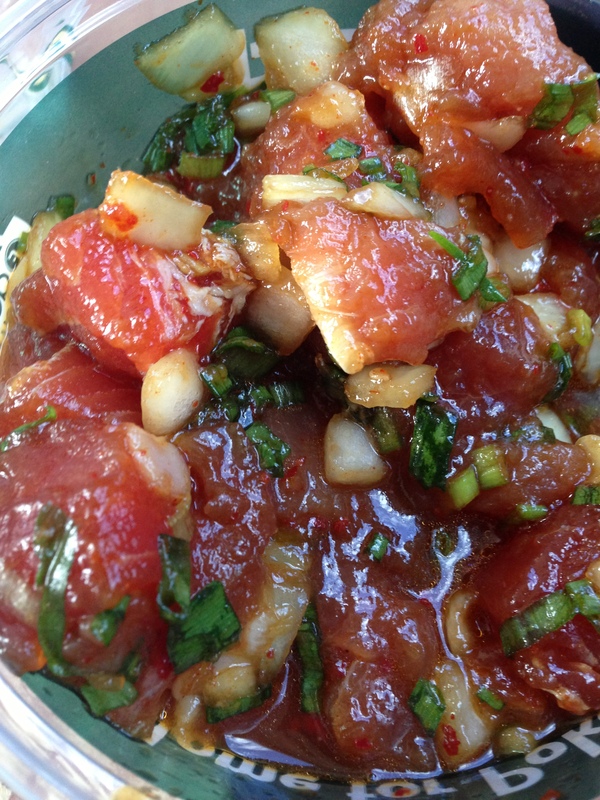 Early on in my trip, I tried the iconic Hawaiian poke – a dish normally made with fresh, Ahi tuna, scallions, cilantro, onions, soy sauce, sesame oil and a little chili pepper for a kick. Poke actually means “to slice or cut” in Hawaiian and this dish is reminiscent of an insanely fresh ceviche.